I am a coach and athlete specializing in solo 12 hour, 24 hour and single stage semi-supported or unsupported ultra distance cycling. Even though my primary focus is ultra endurance coaching, I do enjoy working with cyclists who are interested and or compete in single and or multi day stage racing, be it road or mountain bike. Program details: Administered via TrainingPeaks and includes individualized coaching guidance and training plans to your stretch your limits and maximize your strengths. I am a Cycling South Africa and UCI Level One Certified Coach, I have a long history in adapting my fitness for the different cycling disciplines and have a genuine passion for the sport, with a background in road racing my interest in cycling is now focused on mountain biking and ultra endurance racing. My area of expertise - As a coach I specialize in performance development for ultra-endurance cyclists using heart-rate and/or power based training. Who would I prefer to work with - A cyclist who is willing to shape their lifestyle and environment to match their aspirations. My approach to coaching - Is seeing the rider as an individual and prescribing training and providing guidance specific to the cyclist's needs. What I have learnt - As an athlete and coach, from other cycling coaches, sport scientists and competitors, through trial and error is that consistency is key. Consistency beats intensity, consistency beats volume and consistency dictates results. Cycling race experience - 12 hour & 24 hour solo road and mountain bike racing, self supported & semi supported ultra endurance racing, single day and multi-day stage racing. 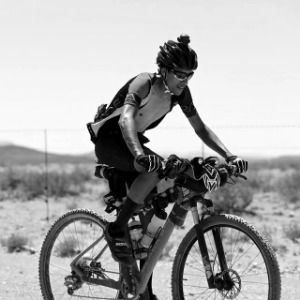 Having competed many cycling events, provincial and national, on and off road, my most memorable races are: Darling TTU 24 Hour, TheMunga, Bikingman Oman, ABSA Cape Epic and Cape Pioneer Trek. All that is asked of you is that you ride a bike, and want to improve in some way. A downloadable cycling GPS computer (Garmin, Wahoo, etc. ), heart rate strap and or power meter is highly recommended. Success. Coach Rafeeq Safodien has been notified of your message.